A Duke University-led study questions the reliability of the climate models used to project short-term swings in temperature and the future extent of warming. Patrick Brown, a Duke doctoral student in climatology, and two coauthors analyzed 34 models used by the Intergovernmental Panel on Climate Change in its most recent report, completed in November. Most of the models probably underestimate how much surface temperatures change from decade to decade, says the study published last week in the Journal of Geophysical Research. The models also don't consistently explain why they vary, it says. That means too much emphasis shouldn't be placed on recent temperature trends, the study warns. "The inconsistencies we found among the models are a reality check showing we may not know as much as we thought we did," Brown said in a Duke release. He added that the findings don't mean the planet won't warm as greenhouse gases accumulate in the atmosphere. "It just means the road to a warmer world may be bumpier and less predictable, with more decade-to-decade wiggles than expected.... Don't assume that the reduced rate of global warming over the last 10 years foreshadows what the climate will be like in 50 or 100 years." Global surface temperatures rose quickly in the 1980s and 1990, but have stayed relatively stable since then. The National Climatic Data Center in Asheville reported that surface temperatures in 2014 were the warmest since record-keeping began in 1880. Nine of the 10 warmest years in that 135-year span have occurred in this century. Martin's coauthors were Wenhong Li of Duke's Nicholas School of the Environment and Shang-Ping Xie of the University of California San Diego. Benne Hutson, the Charlotte lawyer who led North Carolina's environmental rule-making board, has resigned under the weight of time spent on state business. Sen. Thom Tillis was the N.C. House leader when he named Hutson, who practices environmental law, to the Environmental Management Commission in 2012. When the Republican-led legislature wiped the board clean the following year, Hutson was reappointed as chair. That extended Hutson's initial two-year term to mid-2017. But he said the decision to resign was based on the 500 hours he spent on EMC business last year, including meetings, staff discussions and public talks. He spent 40 nights in Raleigh. "I can't commit the time to do the job and do it right," Hutson said. "I now have a real appreciation for the value of public service, and I have a much greater appreciation for the quality of the staff at DENR. They’re just really good." His resignation, effective last Thursday, comes as the Department of Environment and Natural Resources also roils its top management. Gov. 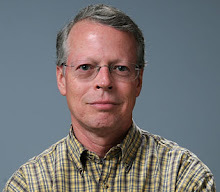 Pat McCrory this month named longtime staff member Donald van der Vaart to replace John Skvarla as environment secretary. Van der Vaart promptly replaced assistant secretaries Mitch Gillespie, who will move to a post in Asheville, and Brad Ives, who left DENR. Under Hutson, the EMC undertook the business-friendly legislature's mandate to review environmental rules and delete those deemed unnecessary. Most of those reviewed so far, for surface water, wetlands and dry-cleaning businesses, are in the process of being readopted. But Hutson said commission members "really started raising questions" about whether proposed rules will work as intended. The commission also lost a court case over its interpretation of state rules on contaminated groundwater, a key issue in regulating Duke Energy's coal ash ponds. A Wake County judge last year reversed the EMC, in part, by ruling that the state can require "immediate action" to stop the source of contamination. The case is before the state Supreme Court. Hutson said he's spent time reaching out to skeptics of the Republican-dominated state government and tried to make the EMC's work transparent to the public. "If everybody has a chance to have their say, we may have disagreements at the end but it's not nearly as strident as it would have been," he said. Duke Energy's costs of closing its North Carolina ash ponds could be passed to customers if it's a statutory requirement, the state Utilities Commission chairman says. Chairman Edward Finley appeared Wednesday before the Coal Ash Management Commission to lay out how utility rates are set, a task that he noted has taken him a 40-year career to fully grasp. Finley said other factors could weigh against Duke recovering disposal costs the company has estimated at up to $10 billion, such as whether Duke violated environmental standards. But he's making no predictions on what will happen. "I'm going to give you no promises or no indications of what the Utilities Commission might do," he said. "That will all depend on the facts of the case that is presented and the law that is argued to us." State law allows utilities to recover through rates their "reasonable and prudent" costs, such as expenses for building power plants, from an earlier 12-month period. The utilities panel is charged with seeing that those costs are kept as low as possible. There are other ways utilities can recoup their costs. They're usually created by the legislature, such as riders that charge customers for expenses of the state's renewable-energy mandate. Duke was also allowed to recover the costs of installing air pollution controls under the 2002 Clean Smokestacks Act. Ash pond closures under state orders "pretty well would insulate (utilities) in my opinion" in seeking recovery, Finley told the ash commission. The General Assembly last summer gave Duke a 15-year deadline to close its 33 ash ponds. Duke hasn't decided when or how it will go to the Utilities Commission for recovery, said spokesman Jeff Brooks. Duke has said customers won't pay the costs of cleaning up its spill into the Dan River last February. "Closure of basins is part of the normal life cycle of the plant, and the costs for operation and decommissioning and closure of our sites typically has been recovered through customer rates," Brooks said. There's good news and bad about one of the strangest creatures to haunt the river bottoms of Western North Carolina -- the two-foot salamander called the hellbender. A paper published last week found that the chytrid fungus that has devastated amphibians worldwide is widespread in mountain waters. But the fungus doesn't appear to be taking a toll on North Carolina's hellbenders. Tempering that news is that the giant, flat-bodied salamanders continue a steady decline as they lose clean, clear water. Silt and sediment pouring into rivers smother the niches where hellbenders lurk. In North Carolina, Eastern hellbenders are found only in rivers that drain to the Gulf of Mexico. They lurk under large submerged rocks and trees, feeding mostly on crayfish. 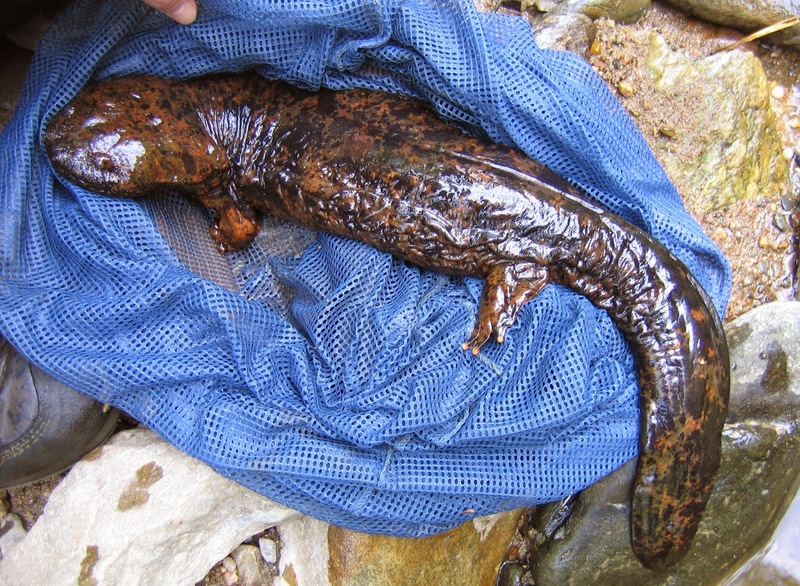 Biologist Lori Williams of the North Carolina Wildlife Resources Commission and co-author John Groves of the North Carolina Zoo found that about one-quarter of the 165 wild and 15 captive hellbenders they tested carry chytrid fungal spores. They saw no evidence the fungus is causing the immune problems or inability to heal wounds that's been documented in the Ozark hellbenders of Missouri and Arkansas. A lingering problem in North Carolina is that some people continue to kill the animals on sight, Williams said. The myth handed down over generations is that the slimy amphibians -- sometimes known as "devil dogs" or "snot otters" -- are poisonous. "I've even been told they're bad luck," Williams says, with fishermen who inadvertently snag one liable to throw away their gear. It's illegal to kill hellbenders because North Carolina lists them as a species of special concern. The Center for Biological Diversity, an advocacy group, has petitioned for federal protection under the Endangered Species Act. The paper was published Dec. 31 in the journal Herpetological Conservation and Biology. North Carolina's Utilities Commission has opted not to change the way utilities calculate the rates they have to offer private developers for renewable energy. Last week's order stabilizes, for now, the economic climate under which commercial solar farms are built. North Carolina ranks fourth nationally for solar capacity, the Solar Energy Industries Association says. Utilities base the rates they pay for green energy on what are called avoided costs. In North Carolina's case, that's the cost of building gas-fired power plants to meet periods of peak demand for electricity. Duke Energy says the "peaker" method results in its paying too much for solar power. Solar developers say it pays them too little. The commission took a middle ground, keeping the current method. The order retained the threshold for standardized purchase contracts, which don't have to be individually negotiated, at 5 megawatts and smaller. Duke had argued that the threshold should be reduced to 100 kilowatts. The commission also kept the maximum contract term at 15 years, turning aside green-energy arguments for longer contract terms and utility pleas for shorter ones. "It looks like the status quo carried the day, which probably means it's going to be a good year for solar," said Duke spokesman Randy Wheeless. The state's renewable-energy tax credit, a powerful incentive behind solar's expansion, will expire Dec. 31 unless legislators renew it. Said the North Carolina Sustainable Energy Association: "By making this finding and rejecting the monopoly power companies’ efforts to roll back the established policy, the commission itself recognized we’re better off with clean energy. North Carolina customers and the economy are the real winners under the commission's order." The Utilities Commission is now taking comments on how to relieve a congested queue of proposed solar projects. Utilities say more than 700 proposals are now before them, many of which will never be built.